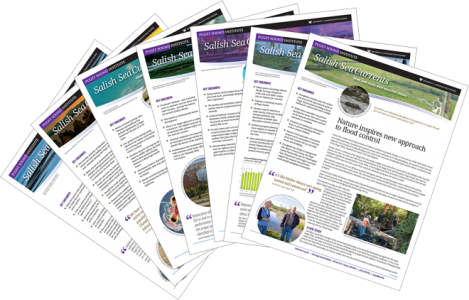 A new study looks at social science and equity integration within the proceedings of the 2018 Salish Sea Ecosystem Conference. The study was produced by David Trimbach on behalf of the Puget Sound Partnership for the Encyclopedia of Puget Sound and the Puget Sound Institute. Social science and equity are increasingly considered integral aspects of ecosystem restoration and reflect an expanding recognition that diverse approaches, tools, and voices matter in recovery efforts. For the past 30 years, the Salish Sea Ecosystem Conference (SSEC 2018) has been an interdisciplinary showcase for regional transboundary recovery efforts focused on the Salish Sea. As such, its proceedings provide an opportunity to reflect on and illustrate the current status of social science and equity integration. Read the full report in the Encyclopedia of Puget Sound.